Views from the loch. : The one that didn't get away! photo 01 - mass killing! Apologies for the no show last week, family illness meant I did not have time to compile the blog! The day started for Elliot Fraser with the business of sorting out the club finances and bringing the committee members present up to speed on various matters. We now have to pay the council for the right to fish in the regulator area and stretch of the yarrow as opposed to Scottish Water as had been the case in the past. A few more items dispensed with and soon it was time to fish. The date was the 2nd of July but looking at the weather you would not have guessed it! A blustery cool wind laced with torrential showers made for a wave and conditions to deter the most ardent boat angler. Elliot however does not fit into that class, if there is water and a boat then he is out! As a favour to me first he motored up and collected a Lomond from the Tibbie which I had towed up last week – Thanks mate! Soon he ventured out into the choppy water with both rods set and ready for action and in no time at all he had a fine 12 oz Trout caught unhooked and released back into the loch. It wasn’t long before another Trout latched on to his line and this one topped 1.5 lbs! And a short time later a sturdy one pounder came to the net and was swiftly returned! You might say a good day indeed but there was more! One of the rods bent into a curvaceous loop and it was fish on and it was a vicious pull so boat stopped and the fish pulled the boat here and there as line was given and vigorously taken back. However after a good few minutes the feeling that every angler dreads descended and a slack line confirmed fish lost! However before the inevitable post mortem took place Elliot’s other rod screamed and he was into a fish! Again he sensed it was a good one by the power of its runs! This time however there was no escape for the fish and it was duly landed. It was a corker estimated 2.5 – 3.5lbs and it was prudent in this case to place the Trout in the large baling bucket and headed to the boat house where boathouse manager Les Henderson weighed it on the scales and it came home at 3lbs 1oz a new heavy Trout for the season! However paramount in their minds was the safe return of the fish and it was held in the boathouse bay facing the current until it was recovered sufficiently to power away to fight another day! And again you might think indeed that was a great day, but there was more. What actually happened when the trace gave way the escaping fish became tangled on his second trace so the same fish was now hooked on his second rod! Normally a tangle is a disaster in this case it was a saviour! The veterans in the club say the worse the weather the better the fishing and it was again proved today, so if it looks hellish get your line out. a record fish could be waiting! Well done Elliot! Photo 02= the makings of a proper breakfast! The first photo this week shows more than words ever could the effect of unrestrained killing by a wild animal! 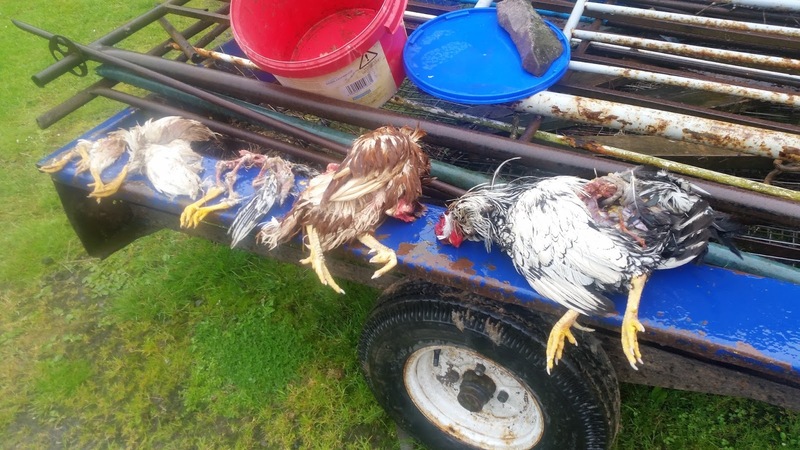 This steading has over the last few months suffered the loss of a lame lamb four chickens two hens and a cockerel, some disappeared without a trace others stripped or just killed and left Naturally the suspect was marked down as a fox! Missing however in all cases was the distinctive aroma that lingers after a fox has visited! The culprit however was identified on Monday when it was found in a shed with some dead hens it was a fully grown dog otter! Now we have had an otter family residing in the area for at least ten years and they are occasionally spotted all over the lochs. They are magnificent creatures in their natural environment and catching sight of one certainly makes your day. Yes they hunt our fish that is what they do and in a way they benefit our fishing by removing the weak and the injured. The stocks of fish become more astute, wary of any unusual movement making them fish of the highest order and very difficult to catch excepting Elliot Fraser of course! Now what can be done to preserve fish stocks in the loch? The simple answer is that nothing that would be effective is possible, the loch is much too large to fence off, and several areas are SSSIs. We have had to live with these animals in the past and will continue to do so in the future. The hen situation also seems insurmountable as again the cost involved of erecting fencing is prohibitive! Worse still is that now the otter has found an area where easy nutritious food can be found it will return, so any restocking with new hens will ultimately end in tears! Fencing off a small area would work but the concept of having free ranging hens would be lost! Maybe in these cases there is a need for governmental compensation and grants to protect the livestock! No one wants these elegant creatures destroyed but when they impact on a farmer’s livelihood then consideration needs to be given to some form of action! Maybe other farmers have lost the odd small lamb we do not know. A compensation scheme along the lines of the sea eagle/ lamb situation in the north of Scotland might be a starting point. I will urge the affected farmer to get in touch with a local MP (not a Tory) to explore any potential solutions. It’s just a great shame that these magnificent animals have strayed off course and impinge on the livelihood of farmers around the loch! 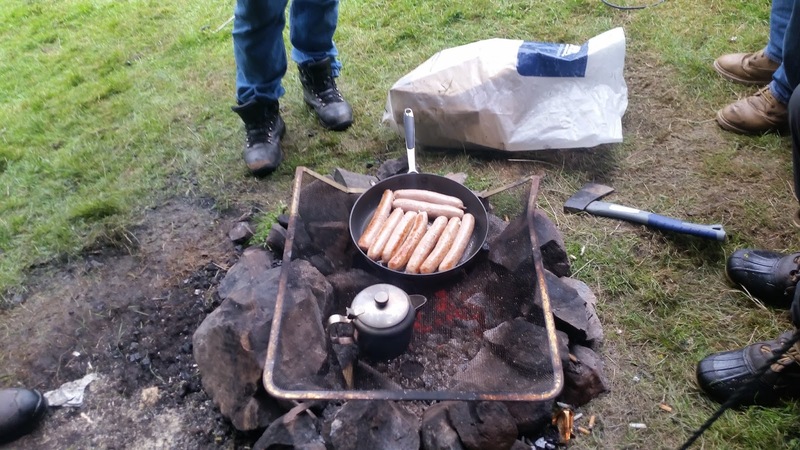 Photo 02 above shows the ingenuity of some of our members, these lads procured a fireguard from the Gordon Arms Hotel and turned it into an adjustable heating plate. One way for normal cooking then flip it over for extra fast heat, the sausages smelled delicious! Just a group of lads who enjoy their fishing bothering no one, people we are happy to call our members! At the other end of the loch Mick from Manchester and his son Nick came up to fish for three days and it wasn't long before they were into fish. Between them the tally yesterday stood at three fish a fourteen and a half pounder, an eight and a young three pounder. Mick will send photos later and we will show them next week. Both groups of anglers enjoying their fishing without getting rat arsed and causing havoc and leaving a mess. The kind of angler we are keen to encourage! An added bonus for the Manchester lads was to witness at close range one of our Osprey's carrying out a hunt diving from height. No doubt a memory that will remain with them forever! Apologies to the first group mentioned above for forgetting your names lads, as I have already stated our ex loch keeper has still not forwarded on our membership database! The Tory leadership race is providing some much needed laughter following the catastrophic decision made by the people to leave the European union! The decision however is made and we must make the best of what lies in front. Yes many people did not know what they were voting for but frankly that is down to them. It has been often said that there are many people who are too thick to vote, the effects of that statement in action is no more clearly displayed than the post EU referendum! However it seems following lord Snooty’s massive bungling and subsequent abdication we are presented with two females who want to run the country. The first is would be Butcher Thatcher candidate Theresa May whose bungling is second only to Lord Snooty himself! A right winger whose sole intention is to see the rich prosper at the expense of the poor! For those looking for fairness and equity there is no hope with this zealot who will seek to emulate her hero Butcher Thatcher! The other candidate Andrea Leadsom is a bit of an unknown and will just be there to make up the numbers. Suffice to say she is a blue nosed Tory therefore for the working classes she offers no hope whatsoever! The race is between two duds one who secretly wants us out of the EU but was blinded by her lust for power and fell in with the “remain” camp and the other who openly wants us out! It is not possible for the likes of me to influence the upcoming vote as it will be decided by the twinset and pearls brigade and the winner foisted upon us! If it had not been for the SNPs renewed call for independence this would indeed be a dark moment! However a second referendum is coming and for us Scots there is hope for a better and fairer future! Enjoy the shenanigans rustled up by frantic Tories and relax in the joy that soon we will be rid of the lot of them! Next week we put the record straight regarding the resignation of our loch keeper, dispel erroneous rumours circulating and highlight our property no returned!